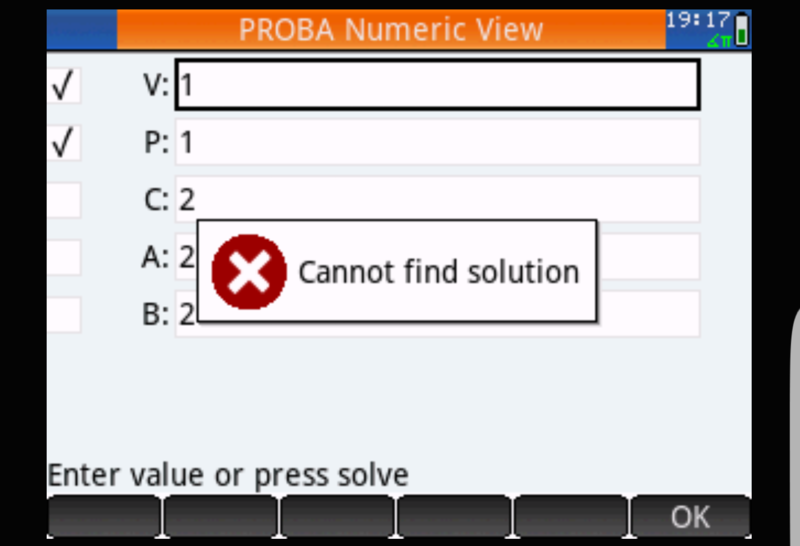 I bought HP Prime app for android and tried to solve some simple equation via built in Solve app but "Cannot find solution" error appeared. On my old HP49g I often used "solvesys 49 (solvesys.lib)" program(simultaneous nonlinear equation solver) for similar more complicated equations and was very satisfied. Is there a possibility to make it work with HP Prime? Sorry for mistakes but English is not my native language. 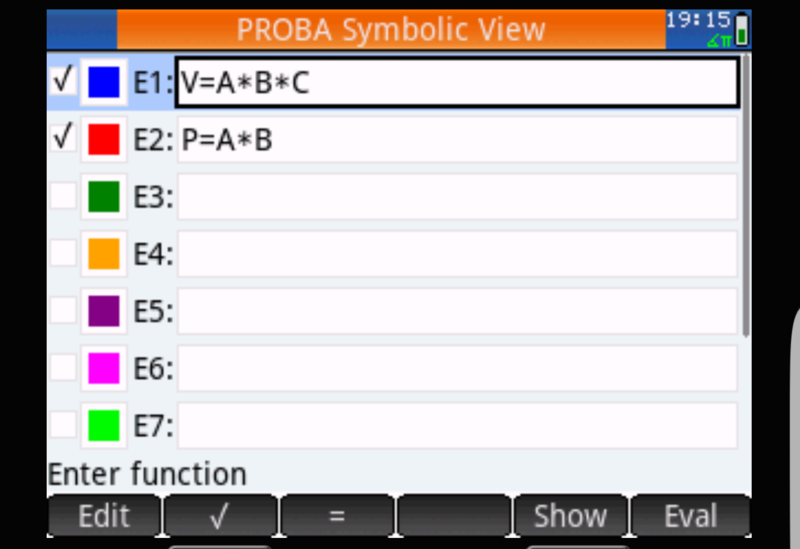 You must select, as many variables, as there are, equations. Thank you informach for quick replay but I just discover some weird results. I checked "V" and "P" as variables and changed the values of "N" from 1 to 10. If I put number 2,4 and 8 for "N" "Cannot find solution" error appears. Numbers 1,3,5,6,7,9,10 solve equation but variable "P" gives strange results (for example if I put for "N" 1000 "P" is 15 instead of 1562,5). 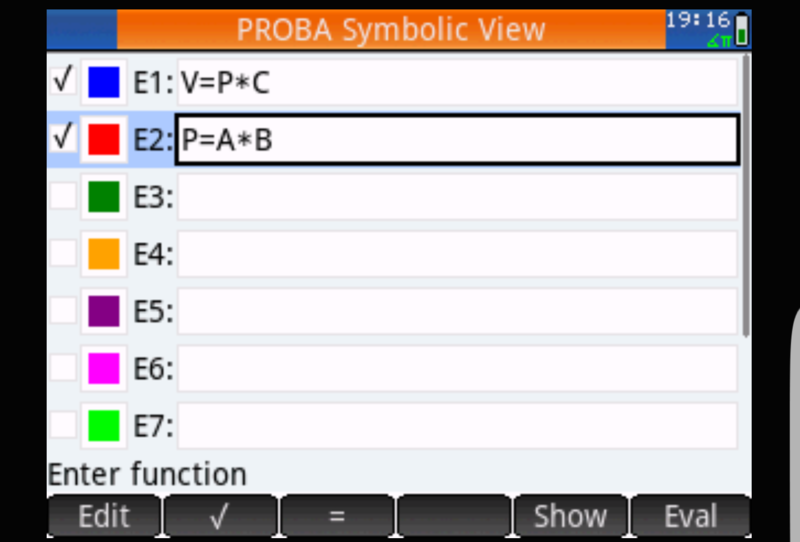 See, in the User Guide, how you can, input equation's and variables, Chapter 14, pages 289/296. I read all chapter 14 but don't now what I'm doing wrong. Is there a way to install old program that I mentioned before "solvesys 49 (solvesys.lib)" originally written for HP49/50 to HP Prime? You can Solve App, only, one equation, each time. (04-17-2016 01:06 AM)kruki Wrote: [ -> ] I read all chapter 14 but don't now what I'm doing wrong. No, there is not any way to install it. Note however that the problem you are reporting in the android app you see should be resolved with the next android update. Yes, the only way to solve more equations is to solve one by one as informach said. 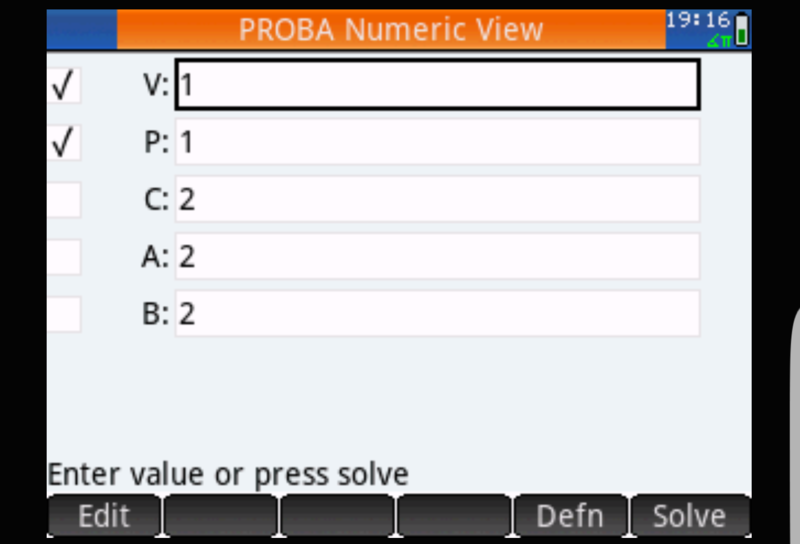 Too bad that there is no program (at least I do not know) for HP Prime like "solvesys 49" for HP49/50 where you can add nonlinear equations and calculate them all at the same time.